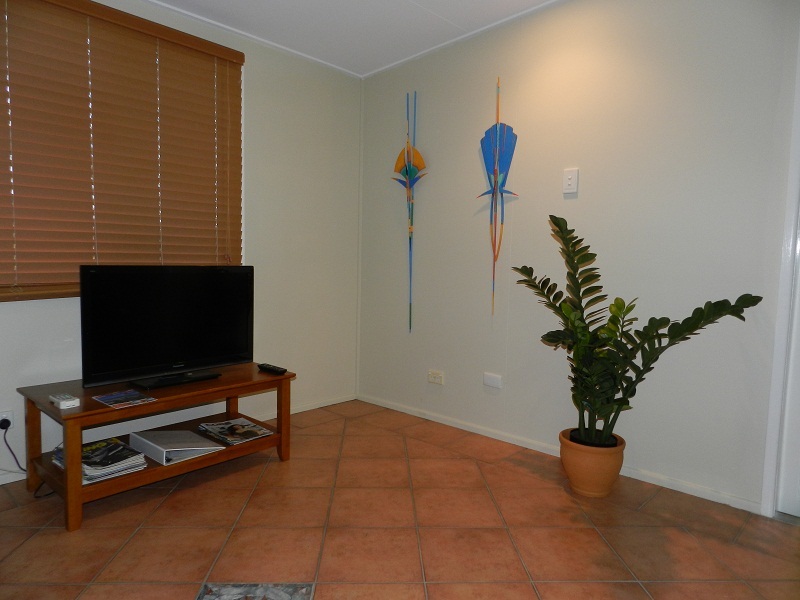 We provide a spacious, private, self-contained unit separate to our home. 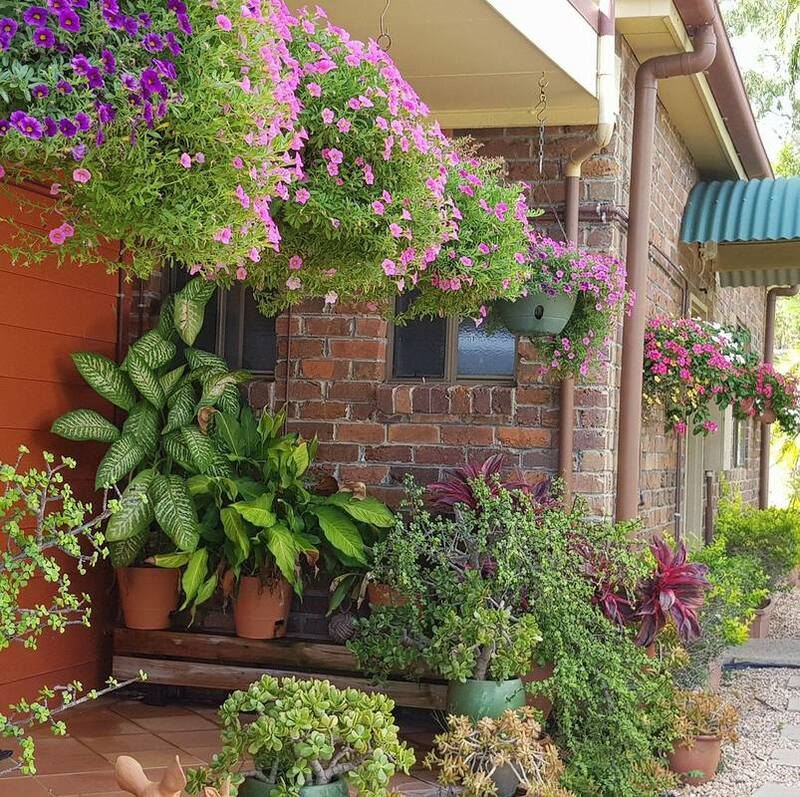 Our goal is to pamper our guests in pet-friendly accommodation of an exceptional standard. We include a hot breakfast in our tariff, and use only the freshest of local ingredients. We care about our guests, our community, our animals and Planet Earth. PET-FRIENDLY Accommodation for 2 guests in a split system air-conditioned bedroom with a queen-size bed. (All linen supplied). 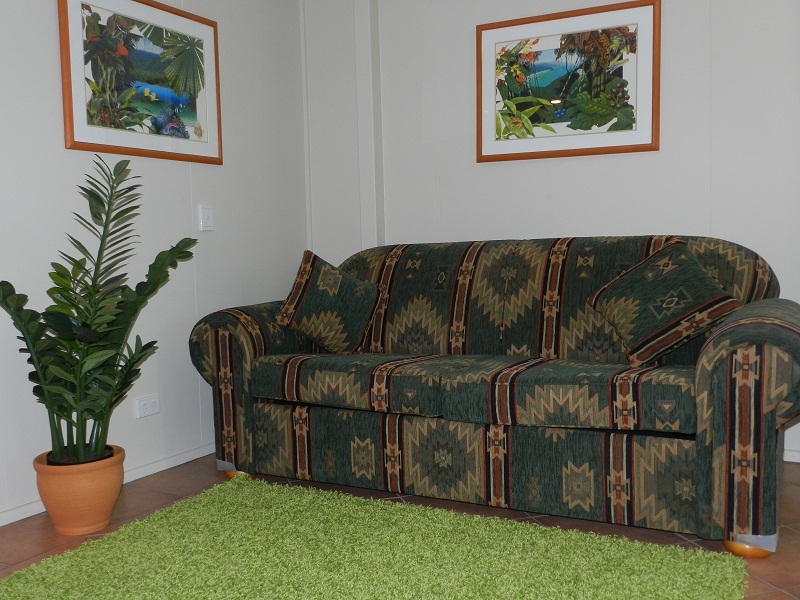 A second inner-spring sofa bed in the lounge area is available if required. A large split system airconditioned Kitchen/Dining Room area. (Large fridge/freezer, hot plates, microwave and 81cm television). Bathroom and Laundry including a Washing Machine, Iron and Ironing Board. A hot breakfast is included in the tariff. Evening meals are available with 24 hours notice. Take a relaxing dip in our swimming pool. $140 per night, which includes a hot breakfast. 48 hours notice required with any cancellation of bookings. 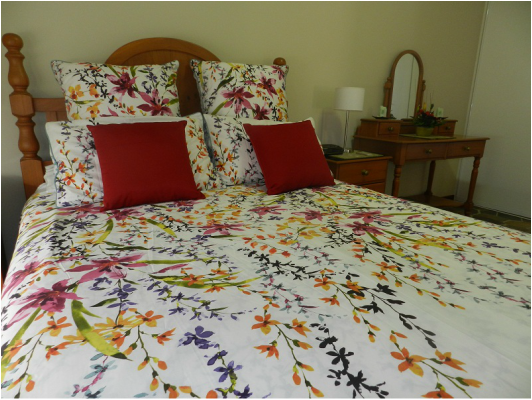 A comfortable queen-size bed is provided in the separate bedroom. The lounge area is designed for relaxation. A television is provided in the lounge area. 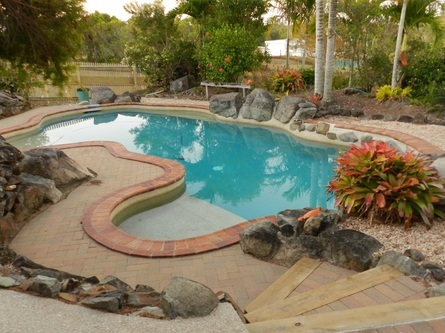 We are easy to find as we are only 10 minutes from the Bruce Highway.